Here we are on a Throw Back Thursday, I have been busy today, not had time for a blog, but thought I would put a little something on the bike I am creating that I will put up for sale soon. This is a unique Cafe and I am sure that you will like the end result, and so far it looks great. 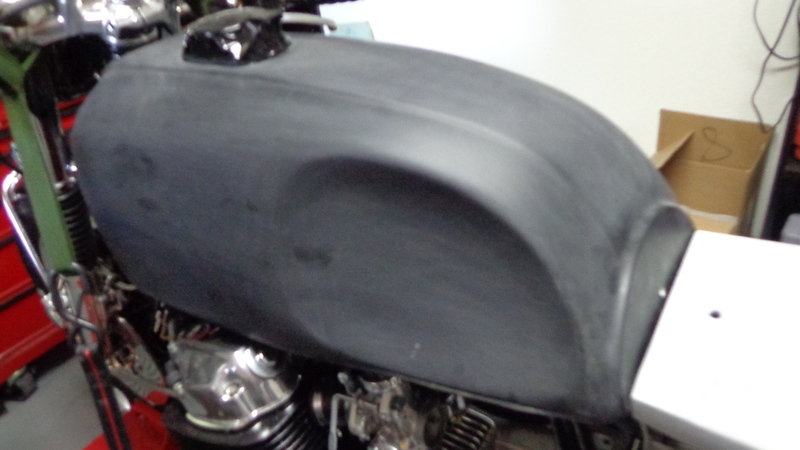 The Gas tank has had my good old treatment of banging the crap out of it with a hammer and cutting the top and smoothing everything. 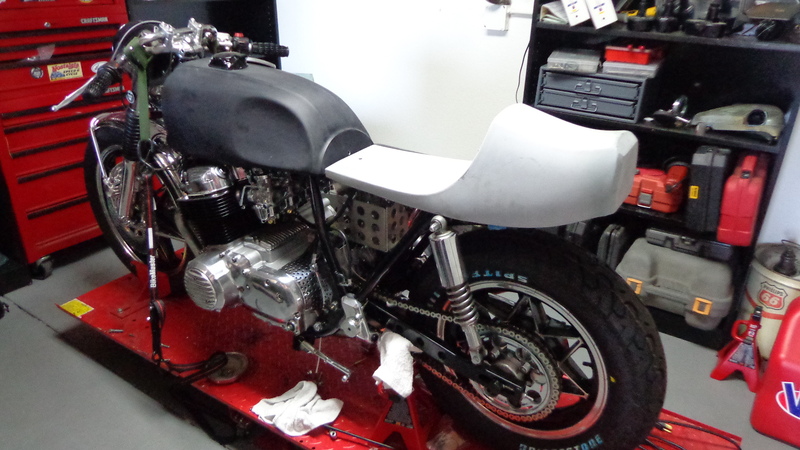 Right now she has really started to take shape and wanted to share it with you lot on here and see what you think? 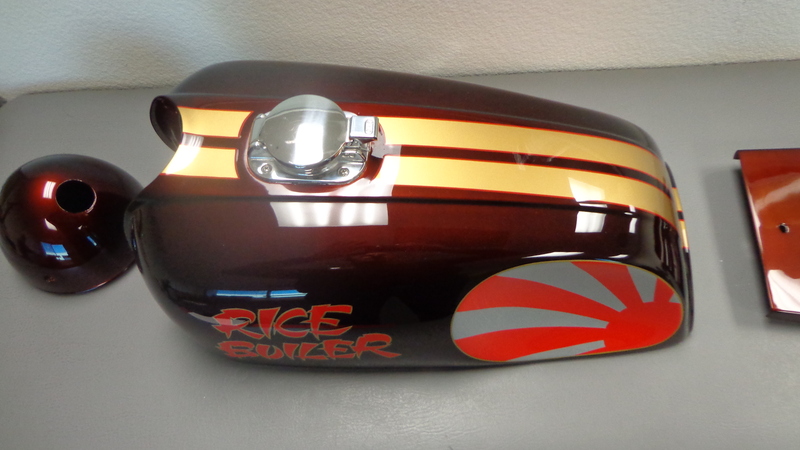 I aptly named the bike ” Rice Boiler ” as my old man always called my Jap bikes that. 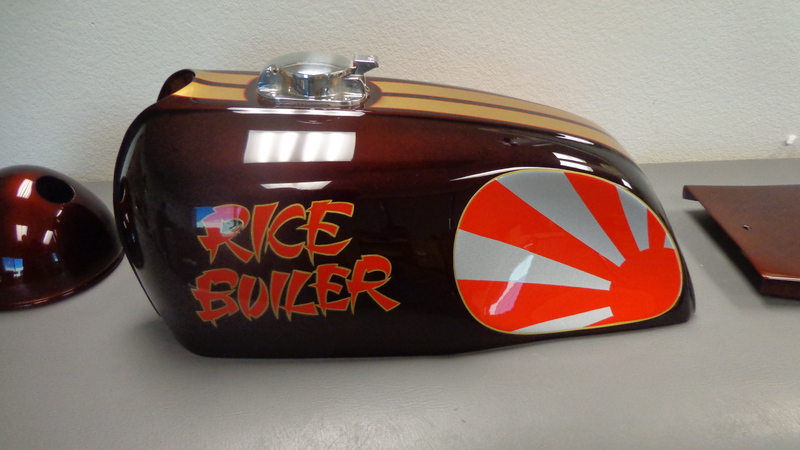 This entry was posted in Blog and tagged brat, cafe racer, cb750, classsic motorcycle, custom, drag, Honda, sohc, ton up.rocker.